In the tradition of indigenous healers, The Black Angel Cards are for seeing your true nature and experiencing peace. 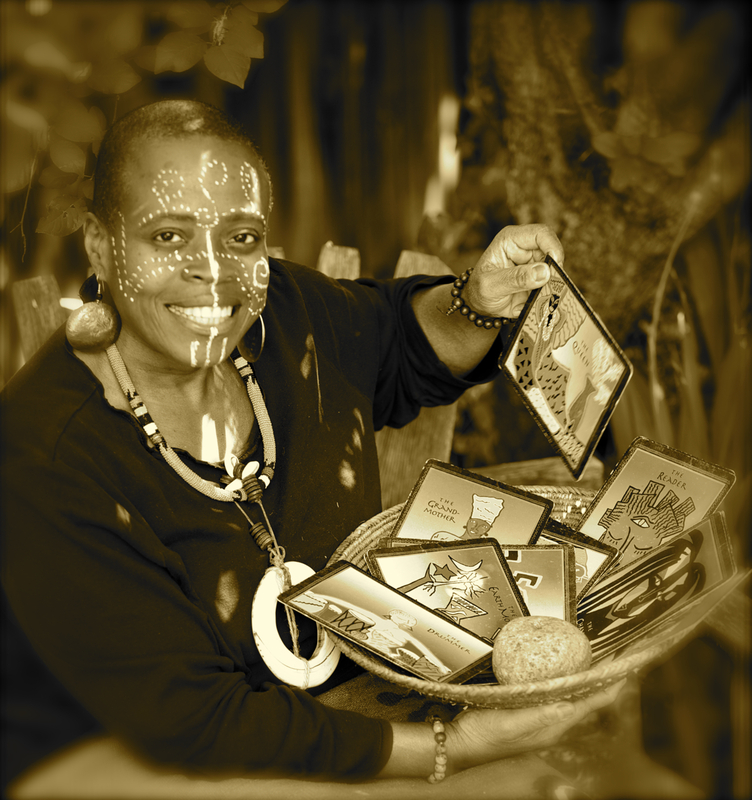 While the cards were created with women of African descent at heart, over the years psychotherapists, life coaches, spiritual teachers and healers, diviners, seers, and ordinary people despite cultural backgrounds, have used the deck. You can use them for your personal exploration and invite family, friends, and co-workers to join you and explore the wisdom of the cards. The cards are a good way to enter into dialogues around sensitive issues and hold each other in the love we know ourselves to be. Experience the art opening your heart to different ways of seeing—expanding your view of life from different aspects of yourself. The words help to bring clarity, and thus gaining an understanding of suffered and how to ease or eliminate it. Zenju uses the cards as a tool for divination. An invitation for a spiritual divination is more than a psychic reading to foretell the future. Experiencing a divination is a beautiful, empowering and healing manifestation of spirit. It is an opportunity to hear direction from the realm of the ancestors and to connect, more deeply, with what you know “in your bones.” Diviners bridge the gap between this world and the world of ancestors. In essence a dialogue with the spirit world.